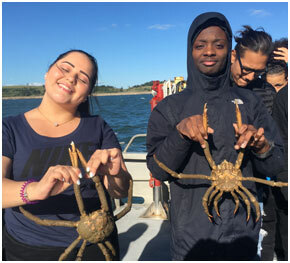 This spring Zephyr Education Foundation (ZEF) starts its 10 year hosting high school and college classes on field trips in Woods Hole. 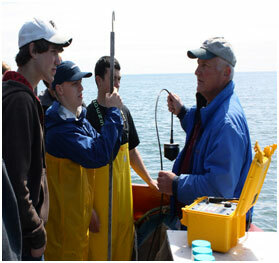 Each year over 2000 students participate in ZEF’s hands-on scientific “cruises” in Vineyard Sound. During the trips students deploy a benthic sled with camera to get live video on board of different habitats, deploy a dredge to collect benthic invertebrates, deploy and recover an acoustically-releasable instrumented oceanographic mooring and conduct other measurement activities. 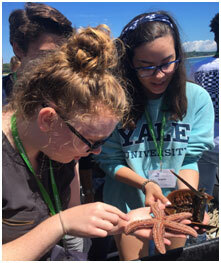 In addition to the “cruise’, students tour some of the laboratories and the dock at WHOI to observe and learn about research activities, instrumentation, underwater vehicles and potential career paths in ocean science. 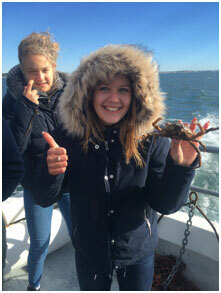 We also run multiple trips for one week in Boston Harbor for inner-city students in the Boston Public School system. In addition to using some of WHOI’s facilities, several local oceanographic companies support us, including Teledyne Marine, Edgetech, Falmouth Scientific, TG&B Marine Services, Lowell Instruments and Onset Computers. Please contact Rob at rreynolds@zephyrmarine.org for more information; we would love your involvement in our program.